Ken Meaux is a resident of Vermilion Parish and attended USL for commercial art. 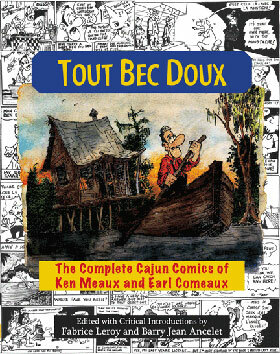 His high school French teacher, Earl Comeaux, and he created the Bec Doux comic strip in 1969 for the Kaplan Herald and self-syndicated from there to a dozen or more Louisiana newspapers. Meaux is also a performance artist and was a television personality for ten years. Professional photography was his mainstay in the early years. No newspaper carries the Bec Doux comic strip any longer.